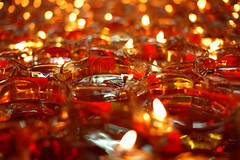 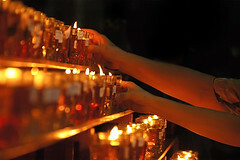 In Malaysia, wesak(vesak) day is celebrate around the month of May each year. 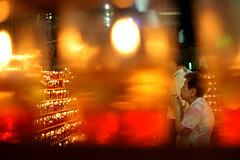 Buddhists celebrate wesak to signify three momentus phase of Buddha’s life which is the birth, enlightenment Nirvana and passing of Gautama Buddha. 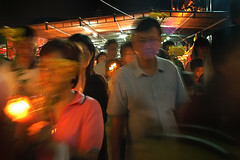 During the celebration, Buddhists gathered at the temples to meditate on the Eight Precepts. 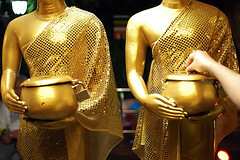 Basically, the Eight Precepts focus both on avoiding morally bad behaviour, and on leading a more ascetic lifestyle. 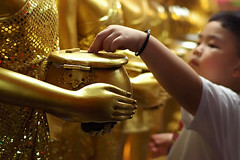 Other than that, donations, giving food to the needy, offerings of incense, joss sticks and prayers are carried out. 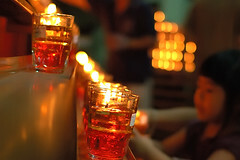 This year(2008), on wesak(vesak) day. 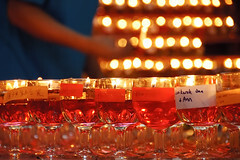 I was at Thai Buddhist Chetawan Temple, Petaling Jaya, Malaysia.